Home to some of the city's most iconic buildings, including the Empire State Building and the United Nation Headquarters, Midtown Manhattan is the largest business district in the United States. Whether you're visiting New York for business or pleasure or are a long-time local, there's plenty to do in Midtown Manhattan- from entertainment and shopping, to dining and enjoying the natural beauty the city has to offer, here's our list of the top five things to do during your time in Midtown Manhattan. Built entirely over an underground structure which houses the New York Public Library's archives, Bryant Park is a beautiful retreat away from the hustle and bustle of NYC life. Whether you're heading to the park for a midday break from the headaches of office life or have a free afternoon and are interested in soaking up the sun, Bryant Park is the perfect backdrop for those interested in connecting with nature. As a 3-star Certified Green Restaurant, all pizzas made by Certé are made with fresh tomatoes, cheese, herbs and locally-sourced, unprocessed ingredients: in other words, their pizzas are fresh and healthy! The flour isn't bleached, the basil is grown in-store, and all deliveries are made by foot or hybrid truck. With pizza-by-the-slice options, a catering menu, and delivery options, Pizza by Certé is guaranteed to feed small, large, and gigantic appetites alike! Declared a National Historic Landmark in 1987, it was the largest private building project ever undertaken in modern times. Known for its unique architecture, sculptures, and artwork, Rockefeller Center is among the last major building projects in the United States to incorporate a program of integrated public art. This iconic cluster of buildings is truly a must see for tourists and locals alike – come for the architecture, and stay for the art and incredible views of New York City. If art is your thing, you can't miss MoMa – a museum that develops and collects modernist art and is often referred to as the most influential modern art museum in the world. Although the focus of the museum is on modern and contemporary art in its traditional forms, the museum also includes works of architecture and design, drawings, electronic media, and illustrated books and film. 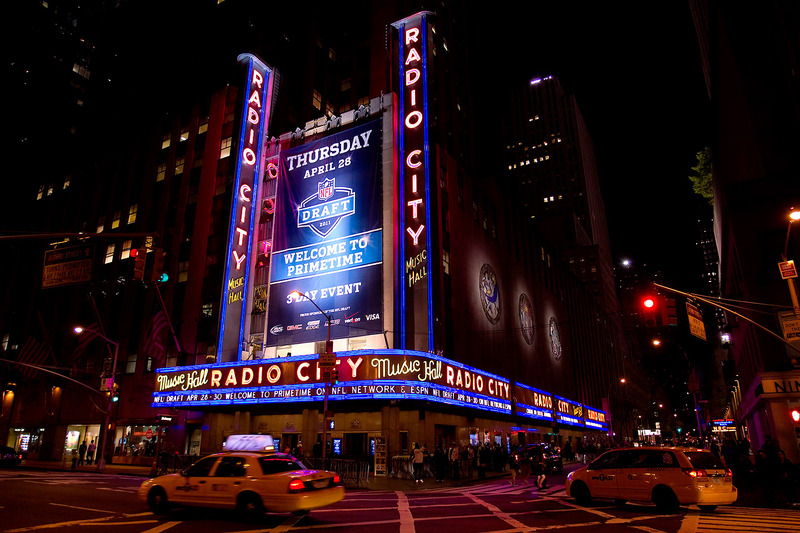 Although the Radio City Music Hall is famous for the annual Radio City Christmas Spectacular, there's plenty of events held at this landmark throughout the year. From rock concerts and comedy events, you're sure to find something of interest on their calendar. For an inside look at the legendary hall, sign up for a guided tour – you'll learn the secrets of the Great Stage, discover art deco masterpieces, meet a Rockette, and much more.